Hi guys, starting to fly this beast a couple of days ago and still learning the flows and the systems of the Q400. My first two landing was like very very hard, after pitching +2° up below 30 fts AGL, the vertical speed barely moved and i smashed the ground at -600ft/min. My third landing, i started to preflare at 40ft and then really hold back some back pressure from 30 ft until touch down reaching a pitch attiitude of 5/5.5 °on touch down but my vertical speed was still in the -200/-300 area. I know it is an acceptable firm landing but still. I also find the q400 to have a lower pitch rate when passing 50 ft but to my knowledge that could be explained by the ground effect that will make the aircraft more nose heavy and also kill the vertical speed. Landing in the correct spot is far more important than getting a "greaser". The FS community places far too much emphasis on so called "greasers" but if you are using half the length of the runway to achieved it then it is not a good landing. I would suggest that because the Q400 has such a high wing the ground effect is minimal but the effect of prop wash on lift is huge. As soon as you idle the props the wings lose a substantial amount of lift. I heard once that Q400 pilots leave some power in on the flare to prevent the well known hard landings. I do know that but there is a difference between landing at -50ft/min and -600ft/min. I found (no idea where) an interesting article about landing the Q 400 and try to attach this document for you. We have a detailed document provided by one of our tech pilots regarding "Landing the Q400"
I strongly agree with ferrariman15. When watching greasers in replay I sometimes ask myself whether or not the weight on wheels switches would be activated at all at such low vertical speeds. In general I only go for a greaser if there is lots of runway in front of me and if using the most part of the runway doesn‘t lead to a significally prolonged taxiing. Calibrating flight controls - especially elevator and throttle - very thoroughly is essential. I use FSUIPC to fine tune my controls by adding a slope (8-9 works fine for me) to make controls more sensitive around the center. I assigned an enlarged version of the PFD popup to a button on my yoke so that I am able to properly read the much bigger display in crucial phases of the flight. In my oppinion during approach it is crucial to react to changes of the aircraft‘s situation as early as possible and using the larger PFD popup gives me the chance to notice even slightest variations of glideslope, localizer and speeds. Defining a dedicated captain‘s cockpit view (as I guess most of us will fly in the left seat) in the VC is also crucial. I use EZDOK to define views in order to have access to the aircrafts functions in the VC. One of those views, which is also assigned to a button of my yoke, is what I call the „captain‘s centered forward view“. This view is adjusted according to the rules using the „view alignment balls“ (sorry, I don‘t know the correct term) in the middle of the front screen. This fixed visual reference, which I can revert to by the push of a button at any time, helps me a lot when focusing on the runway‘s aiming point and estimating the right amount of nose up during flare. 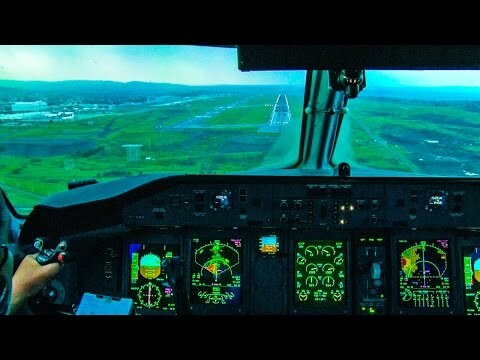 Keep in the power until main wheel touchdown, be at Vref + 5 (or gust/wind additive, whichever is higher), at latest when passing the runway treshhold, focus your view at the far end of the runway to get a better feel for the closure rate, initiate the flare around 15° by a slight pitch increase (do not exceed 6-7°, 8° WILL end in a tailstrike), touch down roughly at Vref. Avoid excessive flaring and/or pitch inreases. If you notice you are sinking too fast (speed is getting low), increase power slightly. If you feel a float or observe a too high speed after flare initiation, reduce power slightly (do not go to DISC however). Hope this helps and a rough guideline. 15 ft, thats late no ? Yes that late. Unless you want to extend your flare too much and flaot down the runway. Of course you can arrest your descent rate at 50ft a bit if it's a tad high. Are you flying the Vref + 5 (or gust correction) speeds? 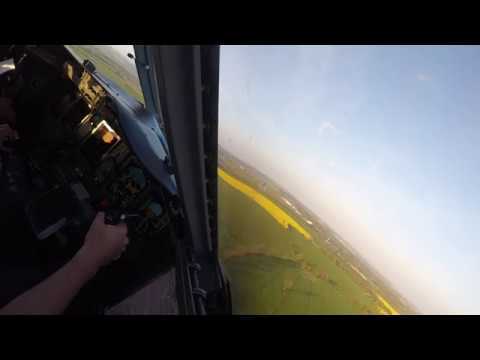 I never have hard landings in the Dash, my average is around 50fpm usually. I maintain yes Vref +5 ( around that). Nah the engine are quite sensitible and Q400 pilot that made the flaring manual for majestic suggested not the try to maintain perfectly Vref. I maintain speed between Vref and Vref +5 kts. I understand you are new to the Majestic Q400. But one thing to keep in mind is that it will behave little differently each time. Depending on how much speed you have during the flare, your TRQ setting and if you are properly trimmed, are just three factors to consider. 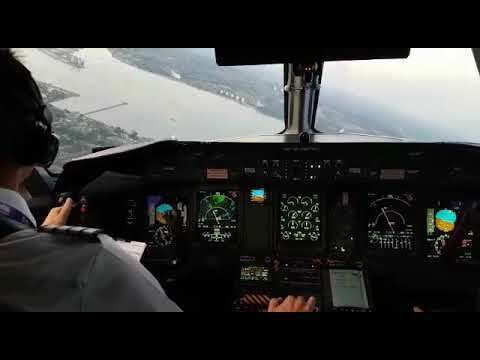 You will not find one golden recipe for perfect landing everytime in the MJC Q400. But I make sure to carry at least vref+5 into the flare. That is minimum for me. 20ft-15ft RA start flare, I very rarely add TRQ to arrest sink rate. I say the most important part is keep on practicing and get proper feel for the aircraft, more so than mimicking Youtube-clips. Are you using the 125khz control mod btw? Maybe it can make things easier in your case? thanks no i can't use the 125Hz as it's not compatible with my brunner force feedback yoke ? do you have Chase plan by the way ?